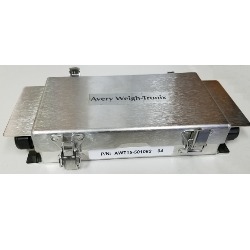 The ZB210 is the Avery Weigh-Tronix digital junction box for new and existing truck scale, floor scale and batching applications. Designed to meet the rigors of outdoor and industrial environments, the ZB210 can be retrofit into an existing scale system, regardless of the original manufacturer. Receive inputs from up to four analog weight sensors, or daisy chain multiple ZB210s to process up to sixteen sensors. Inputs from analog weight sensors are individually converted to digital readings, resulting in faster, more precise installation and calibration so your scale is ready to use sooner. Share calibration and weighing information across the system. 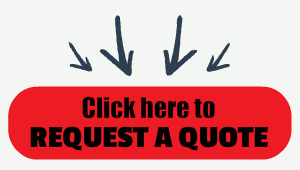 Because the signal is digital, you can use longer cable runs with no signal loss or go wireless for added convenience. By recording performance history and mechanical issues, you’re able to increase your scale’s uptime through improved diagnostics to schedule maintenance before a repair is needed. The ZB210 Digital Junction Box is available in two different form factors. For indoor applications, choose either the ZB210-SG or ZB210-LG. For outdoor applications such as truck scales, choose the ZB210-STVS which provides additional protection against severe transient voltage strikes. The ZB210 is the Avery Weigh-Tronix microprocessor-based digital junction box. It gives unparalleled flexibility to new and existing truck scale, floor scale, and batching Weigh Bar® systems. Inside the ZB210, analog weight sensor inputs are individually converted to digital readings. Because the response of each weight sensor is isolated from the others, more information is available. Calibration is quicker, scale balancing is more precise, mechanical issues are easier to diagnose, and more detailed performance history can be recorded. Each ZB210 receives the inputs from up to four analog weight sensors. In a scale system with more than four weight sensors, up to four ZB210s can be daisy chained together, allowing up to sixteen inputs to be combined in one system and still be individually monitored. Once connected together, the ZB210s communicate with each other to perform calibration, monitoring, and weighing functions internally. All the computation for calibration and weighing is performed inside the ZB210. This reduces the amount of information that needs to be transmitted to other devices and allows for more connection options to meet individual system needs. Scale information is transmitted digitally over serial RS232 or RS485 connections. With the digital signal, it’s possible to have longer cable runs and wireless connections are simplified. The standard interface to a ZB210 is a digital connection to an Avery Weigh-Tronix ZM510, ZM605, ZM615, or ZK840 Programmable Indicator. This provides an out of the box setup to interact with the junction box to perform calibration, get weight readings, and view performance details for monitoring or troubleshooting. The power of the Z series programmable indicators also allows for extensive customization of system operation. With core weighing functions performed inside the ZB210, scale technicians can also use Ztools utility software for setup or troubleshooting. This familiar tool lets a technician work with a ZB210 just as they’re used to doing with any Z Series indicator in order to speed up scale commissioning and maintenance. The features of the ZB210 are designed to get weighing systems set up and running fast with unmatched accuracy and performance. With the ZB210, calibration is quicker. Calibration is done by following the on-screen prompts from the connected Z Series programmable indicator. After placing test weights as directed, all calculations for cornering or balance adjustments are performed automatically inside the ZB210 on the first pass. The need for placing test weights multiple times with incremental adjustment is eliminated. Individual sensor adjustments are done with digital precision and stored inside the ZB210. With multiple separate data streams, you have a window to see more details on how the scale system is used day to day. Load distribution on the scale can be monitored. Traffic patterns can be analyzed with more information. Instances of severe weight sensor overloading can be recorded. The most dramatic capability of a digital junction box is the ability to immediately identify the catastrophic failure of a weight sensor. With the sensor inputs isolated from each other, a failure is not obscured. The ZB210 can identify the failure and indicate exactly where the problem is so that it can be fixed as quickly as possible. In some cases, the ZB210 can even enable limited scale use until repairs can be made with a “ghosting” function. Ghosting isolates a defective weight sensor signal and estimates weights at reduced accuracy by using stored performance data. With the power to see individual weight sensor readings, the ZB210 provides greater insight into the mechanical performance of scales. During initial setup and calibration, comparing the response of individual sensors can quickly highlight installation issues which can improve the long-term stability and performance of the system. During routine servicing, it’s helpful to compare current system performance to historical numbers, and the more granular data provided by the ZB210 improves the ability to detect possible problems before they become failures. The ZB210 is designed to meet the rigors of all outdoor or industrial environments and is available in two different form factors. For indoor applications such as floor scales or batching Weigh Bar systems, the ZB210-SG and ZB210-LG come in a compact form with a NEMA 4X stainless steel enclosure. The ZB210-SG has water tight cable glands sized for weight sensor cables used on most floor scale models, while the ZB210-LG has larger cable glands to accommodate the larger cables used on batching Weigh Bars and some extreme duty scales. For outdoor applications such as truck scales, the ZB210-STVS is housed in a compact NEMA 4X stainless steel enclosure with water tight cable glands and uses the same convenient cover latches found on standard Avery Weigh-Tronix truck scale analog junction boxes. With the same footprint as a standard junction box, converting a truck scale from analog to digital junction boxes is simple.